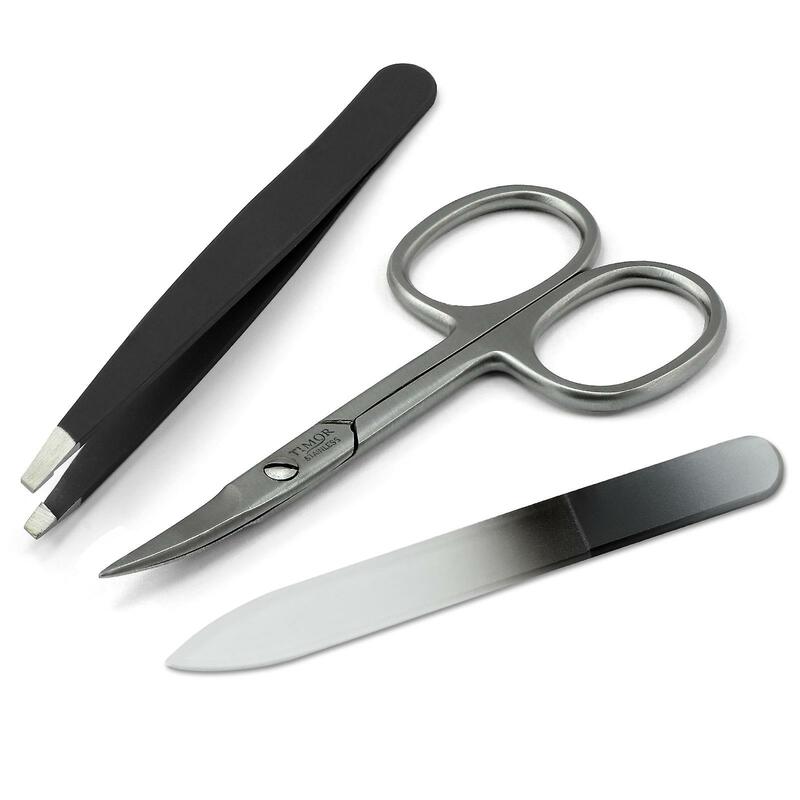 Manicure-set of 3 parts: nail scissors; slant tip tweezers; czech made glass nail file. Essential manicure tools, all in one case. 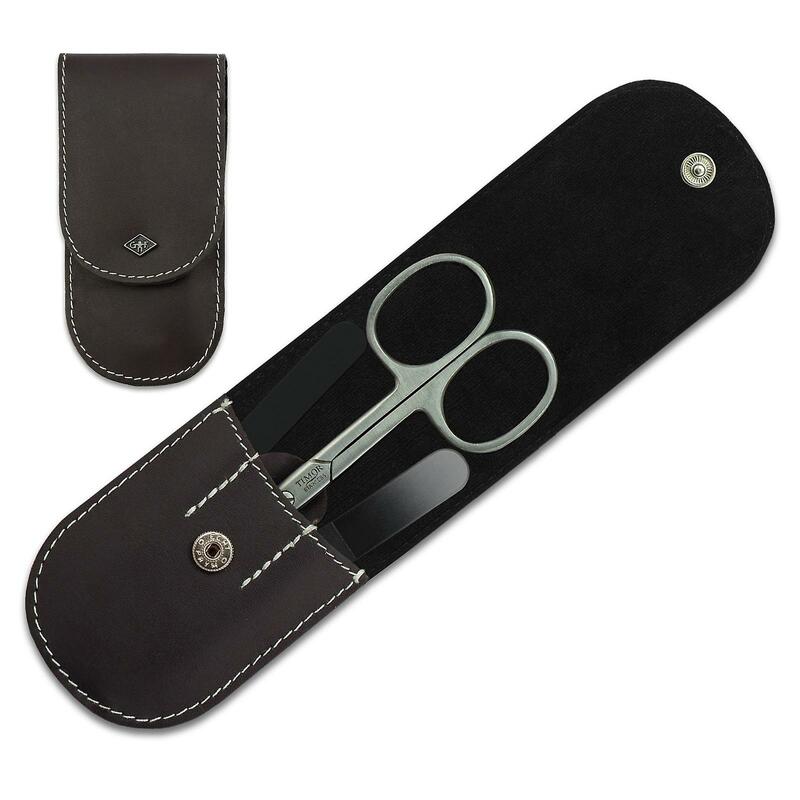 This manicure set is perfect for everyday and for travel.The leather case is genuine brown cowhide leather, with white stitching, and has a push button for easy open. Glass nail file is made of Czech tempered glass in Czech Republic by Mont Bleu. Precision nail scissors are made of stainless steel in Solingen, Germany. Tweezers have a slant tip; they are made of stainless steel and covered with rubber for comfortable non-slippery use.Back to manicure sets. You can buy the glass nail file, tweezers and nail scissors separately if you prefer.